Training the doctors of tomorrow and changing the future. Our research is paving the way for new standards in fertility treatments. California IVF Fertility Center specializes in male and female infertility. Working in collaboration with UC Davis Health System to develop new technologies to improve pregnancy rates. 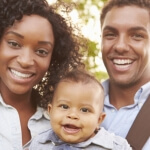 California IVF Fertility Center is here to help you have a baby. We are excited to be in a new facility with many enhancements that will help us usher in the next generation of fertility treatments. A highly specialized air system, anti-vibration changes to the building foundation, and redundant battery and generator power are just a few of the changes we anticipate to further increase our already excellent success rates. Our IVF program has experienced consistent clinical pregnancy rates of 68-70% for patients under 40, and near 80% when genetic testing is used to screen for genetically normal embryos. These rates are per transfer. Our cumulative pregnancy rates per egg retrieval are even better! Years of hard work and dedication have gone into making the new center possible and we are proud of our new home in Sacramento. With all of the changes, our staff remain committed and even more capable of helping you grow your family. We are here to help people with their desires to build their family through individualized fertility services. Offering a full spectrum of infertility testing and treatment, our fertility specialists can help. We specialize in innovating and implementing changes to the way fertility services are given. We emphasize patient education and pride ourselves on efficiency. Combining science and compassion while maintaining a very patient friendly atmosphere, California IVF is here for you. We will help you to maximize your chances becoming pregnant while minimizing the stress that often accompanies such high-tech infertility treatments. Your pregnancy and satisfaction with our services are our primary goals. California IVF Fertility Center is changing fertility treatments to improve the outcomes for our patients. Most fertility clinics boast they use the latest technology. This technology is usually developed by other centers. Our research and constant process improvement has allowed us to change the status quo. Because we are never content to just offer routine fertility treatments, we don’t just use the latest technology, we are changing it. California IVF Fertility Center has been offering advanced genetic testing of embryos for more than a decade. Genetic testing allows us to determine if embryos are genetically normal before transfer. In addition to the routine errors that occur in embryos, we are able to identify embryos that are affected by specific genetic diseases. We have one of the most active embryo biopsy programs in the area that has been in continuous operation for over 10 years. Our experience with embryo biopsy has allowed us to help countless patients achieve a healthy pregnancy. The California Conceptions program is a very unique program offered at California IVF. The program offers three tries at pregnancy using donor sperm and donor eggs for a fixed costs. Patients may be able to qualify for a full refund if they are not pregnant. This unique program attracts patients from all over the United States and from other countries. Most participants with a normal uterus are successful with this program. The California Conceptions program is a perfect example of an innovative change in the way fertility services are offered and had been helping to build families since 2010. Egg freezing is becoming more popular over the last few years. Egg freezing is much more difficult than embryo freezing. While many programs offer egg freezing as a method of fertility preservation for women, very few program have experience attempting pregnancy with the frozen eggs. Through meticulous adjustments in the freezing and thawing techniques, California IVF is among the first in the region to have live births from egg freezing. Ask about live birth rates before you trust your fertility preservation to anyone. Assessing an embryo’s potential to progress from the early stages just after fertilization to a fully developed blastocyst is important in selecting embryos that have the highest potential for making a healthy pregnancy. California IVF Fertility Center integrates information from time-lapse imaging studies and performs assessments at various stages of embryo development. Integrating ongoing research in genetic spindle formation and 3D microscopy, our embryologist are pushing the envelope of embryo assessment with the goal of selecting the embryo most likely to make a pregnancy. Additional techniques such as freezing methods and modified assisted hatching are combining to improve our pregnancy rates to new levels. These changes are re-defining how fertility services are performed. Poor quality eggs frequently result in poor quality embryos. There are very few things that can be done to effectively change poor quality oocytes (eggs). Research at California IVF hopes to change that. Instead of simply observing fertilization and hoping for the best, we are investigating ways in which the laboratory and culture conditions may affect egg and embryo quality. Modifications to the early environment for the eggs collected from IVF have demonstrated the possibility to significantly alter the outcomes with eggs and embryos that would otherwise not progress normally. A significant breakthrough in this area could drastically change IVF outcomes, especially for women with advancing age and poor quality eggs. California IVF has a team of PhD scientists working to improve outcomes and laboratory efficiency. Most labs have an embryology lab director that holds a PhD who is responsible for the oversight of the embryology lab. We have a core team of 5 PhD scientists working to improve reproductive science related to pregnancy through research. Researchers at UC Davis have been working on human and primate markers in the cells surrounding eggs and factors within the eggs and embryos that can be influenced to improve the development and selection of top quality embryos. We have doctorate scientists working on sperm biology, including the interaction of sperm and the female reproductive tract. Research has been initiated in conjunction with the UC Davis biomedical engineering department to develop new technology for the embryology lab to aid the embryologist in culture conditions and automation of processes that can improve the efficiency of the embryology lab. California IVF and UC Davis researches also have experience investigating environmental toxins and their effects on human reproduction. The scientific energy behind California IVF is part of what makes us who we are. We are committed to making family possible through constant research and process improvement. During a new patient consultation, our infertility specialists review the various factors that must be overcome in order for pregnancy to occur. The doctor will outline a plan for diagnostic testing and review the various treatment options that are available. Not all patients will need IVF services. Our fertility clinic offers testing and treatment for a wide variety of problems and will be happy to guide you. Having a baby can be very stressful and getting help should not be. Compassion and personal attention make a difference. Before considering treatments, or patients undergo fertility testing to evaluate for the cause of infertility. Once testing is completed, an individualized treatment plan is made based on the patients test results and individual wishes. When problems such as advanced reproductive age interfere with chances of getting pregnant, our donor egg and donor embryo programs are often much more affordable than treatments at other local infertility clinics. In addition to services offered by most clinics, our highly specialized embryology staff and infertility specialists offer some of the most advanced fertility services in the Northern California region. California IVF is a leader in fertility services. Our doctors have surgical expertise in reproductive surgeries including treatment for a uterine septum, uterine fibroids, and uterine polyps. We also specialize in reversal of tubal ligation surgery and vasectomy reversal. 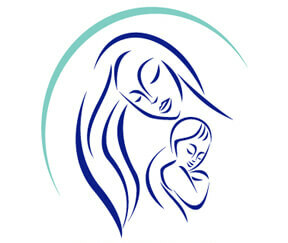 California IVF Fertility Center has a collaborative arrangement with UC Davis Health System effective since July 2011. Our doctors have university appointments and access to records through the UC Davis Health System allowing for seamless continuity of care. California IVF Fertility Center is a contracted provider for insurance policies supported by the UC Davis Health System. Our close working relationship with the university health plans help maximize your insurance benefits. We are also contracted with most all of the available insurance plans in the Northern California Region. Leveraging our expertise in the fertility field along with the resources available through the UC Davis Health System, California IVF Fertility Center is participating in research to shape the future of fertility treatments. Our projects are focused on improving sperm and egg quality, genetic integrity of embryos, and improved success rates. Collaborative research with the primate IVF center at UC Davis and development of new devices and techniques will make certain California IVF Fertility Center remains at the forefront of infertility treatment. California IVF has clinical responsibility for patients of the UC Davis infertility program. Our collaboration agreement allows patients enrolled in the UC Davis Health System to receive their care at our Sacramento fertility center. California IVF will further enhance the high quality of care provided to local and out of state patients through our collaboration with the University of California – Davis. We will use our combined resources to maximize our patient’s experience while leveraging the academic and research resources of UC Davis. Our goal is to do much more than offer fertility treatments. We are striving to improve the way fertility treatments are performed by developing techniques other fertility centers will use in the future. For more information about the collaboration between California IVF Fertility Center and UC Davis, click here. We are also contracted to provide services through Sutter Health, Dignity Health/Mercy, NorthBay Healthcare. Tricare, and most private insurances. We see many patients from Kaiser when infertility services and IVF are not covered benefits. California IVF Fertility Center offers testing and treatment service in Sacramento. 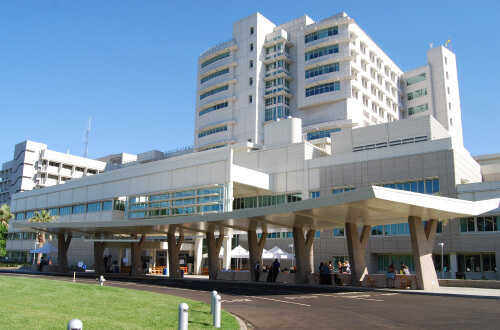 In addition to our collaborative arrangement with UC Davis Health System, California IVF acquired The Sher Institutes for Reproductive Medicine – Sacramento in 2011. Patients start with their new patient visits in Sacramento. We generally require fewer visits during treatments than most other fertility centers. Diagnostic labs can be completed locally and several tests can be performed in our office in Sacramento. After the initial testing, we are able to provide advise regarding the options for treatment. There are many new changes on the horizon, so be sure to check back often. Future patients at both centers can be assured of our ongoing commitment to provide the most advanced and cost effective treatment from our team of Board Certified Reproductive Endocrinologists and a board certified urologist, Dr. John Gould. We hope that you find information here that can be useful in answering your questions or curiosity. If you would like additional information you may reach us by email at hello@californiaivf.com or by phone at 530-771-0177. Free information sessions with our staff are available by appointment. The staff and infertility doctors at California IVF Fertility Center are able to offer the latest fertility treatment options to patients in the Northern California Region. The center continues to evolve and adapt the latest technologies to bring our patients the best possible chances of having a baby. If you would like to learn more about our services or options available for treating infertility we encourage you explore these webpages or simply call our office. Our staff can discuss the services available and help answer some of your questions. Choosing a specialist or fertility center can be a difficult choice. You are welcome to schedule a visit to our center and meet the staff so you can see for yourself why so many people are satisfied with our professional and compassionate care. We are here to help you! We are located in Sacramento just 15 minutes from our previous office in Davis California. Situated just off Interstate 5 near the crossing with Interstate 80. 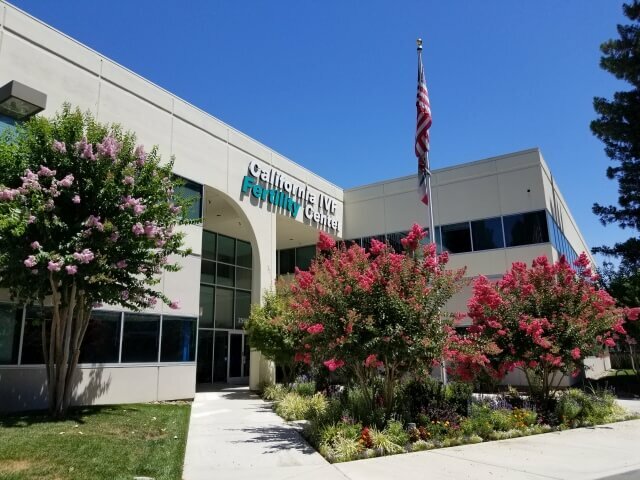 Our location offers convenient access to patients from across Northern California including Redding, Roseville, Natomas, Vacaville, Fairfield, Stockton, Modesto, Napa, Davis, and Yuba City. The Sacramento Airport (SMF) and San Francisco Airport (SFO) offer access for patients coming from out of state and outside of the United States. We are frequently visited by patients from Canada and Australia for our donor oocyte and donated embryo programs.